A humorous birthday card with a man at the barbecue holding a glass of beer. 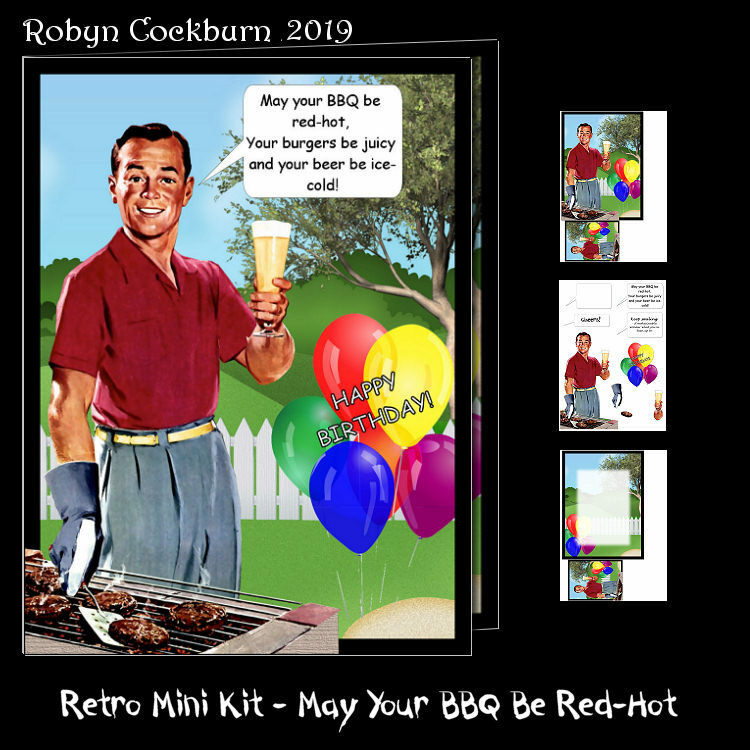 Captions provided say "May Your BBQ Be Red-Hot, Your Burgers Be Juicy and Your Beer Be Ice-Cold", Keep Smiling - it makes people wonder what you�ve been up to", "Cheers!" and a blank is provided for your own caption. The kit contains card front, insert, labels, gift tag and decoupage layers. Card is 6" x 8" when finished.